Visiting: Colonia Suiza, Fundators square, Schoensstatt Virgen, Britópolis, Fomento and Santa Ana seaside resort along the Uruguayan River Shore, Historic neighborhood, Santísimo Sacramento Church, 1811 square, Mayor square, Suspiros Street, Campo Gate, San Pedro Bastion, Light House, Spanish , Portuguese and Municipal Museums, (ticket not include). 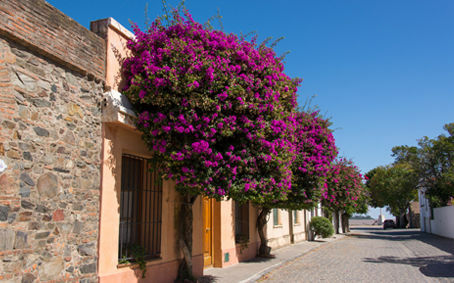 Colonia de Sacramento was founded more than 300 years ago. Bull Ring (Real de San Carlos), San Benito Church, Port. Free time to have lunch and walk along the City. 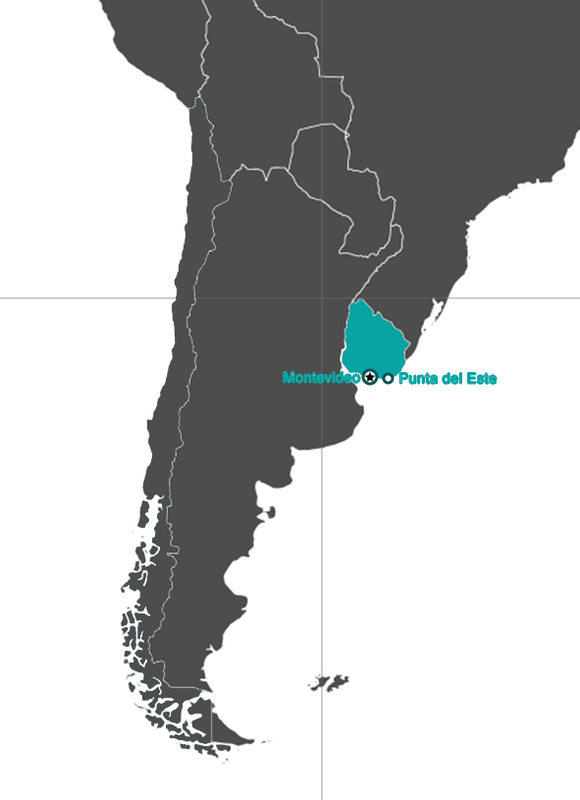 Its name is attributed to a sailor from the fleet of Magellan, who is said to have exclaimed "Montevideo" while sailing along its coasts in 1520. 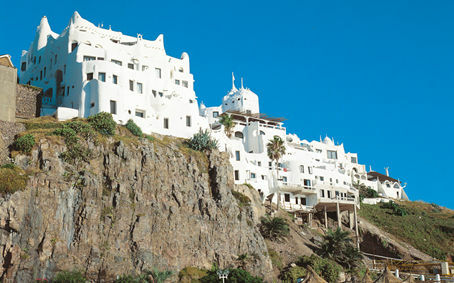 It combines the coffee shops of the mid-20th century and the big houses with large patios of Hispanic inspiration. The 18 de Julio Avenue is a must for the tourist looking for good restaurants, hotels and travel agencies. 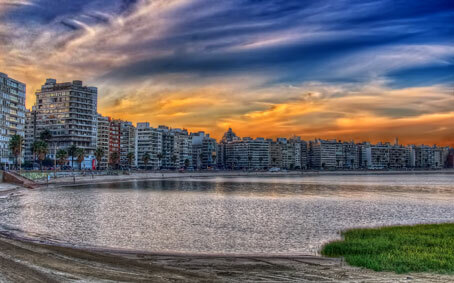 The Rambla (Seaside Avenue) and its beaches are a good place to take a stroll or ride a bike. The Cabildo, the Cathedral, the Plaza Matriz, the Port Market, all architectural memories from an exquisite past, and the curiosities at the "Tristán Narvaja" flee market, live together with a present of world class galleries, art centers, shopping centers and antique shops. Visiting the old city, Metropolitan Cathedral, Plaza Matriz, the Cabildo, Sarandí Pedestrian street and the Port Market, Plaza Independencia, Legislative Palace, Barrio del Prado, el Rosedal, Botanic Garden, Church of the Carmelite Sisters, Suarez Residence, Paso Molino, Belvedere, Montevideo hill, Carrasco, Punta Gorda, Pocitos y La Rambla (Seafront Avenue).